Adam D’Agostino is a National Academy of Sports Medicine (NASM) Certified Personal Trainer (CPT) specializing in the Optimum Performance Training (OPT) model. Adam is a USA Triathlon (USAT) Certified Coach and US Masters Swimming (USMS) Level 3 Certified Coach. He has additional certifications from NASM as a Corrective Exercise Specialist (CES), Mixed Martial Arts Conditioning Specialist (MMACS), & Weight Loss Specialist (WLS). In addition, Adam holds a TRX Functional Training Certification (FTC) and he is also certified by the World Calisthenics Organization (WCO) as a Level 2 Coach. Adam has always maintained an elite fitness level with a competitive edge since he began exercising, never wavering in his training regimen. 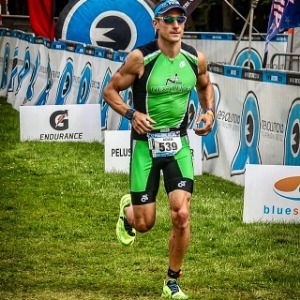 He completed his first Triathlon after only 3 months of training, going on to compete in many Olympic-distance races and IRONMAN 70.3 competitions. In 2014, Adam became an IRONMAN at Lake Placid! Additionally, Adam’s performance in Triathlon has qualified him for the USA Triathlon (USAT) Age-Group National Championships in 7 consecutive years (2012-2018). He is a two-time qualified athlete on Team USA (2017 & 2019). Success. Coach Adam D'Agostino has been notified of your message.